We all love our horses! Using diatomaceous earth is an easy and economical way to boost your horses health and live a happy and productive life. Diatoamaceous Earth and horses is a natural fit into your busy lifestyle and keeping a healthy, clean, organic environment for your horse. Diatomaceous Earth is a must have for your barn, stalls and stock tanks. With so many uses, it’s a go-to for all of those on manure duty! Instead of lye or other products consider using Diatomaceous Earth such as our Livestock DE as an everyday product to keep stalls dry, and smelling fresh. Diatoamaceous Earth is a great for your Manure Piles! 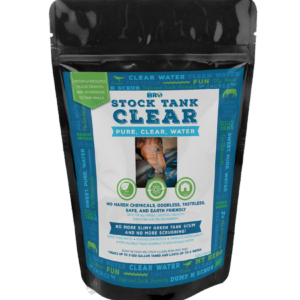 Using Livestock DE in your bedding keeps manure piles from manure off-gassing and smelling. Since manure piles can be a breeding and nursery incubator for many common barn flies, using Livestock DE to dust your piles will greatly reduce the smells. It’s great for composting as well, and is a natural soil amendment. 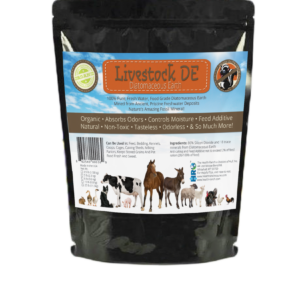 Livestock DE can be used as a topical or free-choice feed additive. We recommend using ½ Cup to 1 Cup per day as a top dressing. Diatomaceous Earth is a naturally occuring mineral source that will greatly enhance your horses coat, hooves, and structural health. The Silica in all of Diatomaceous Earth products helps rebuild connective tissues. Naturally occurring Minerals are more readily absorbed by the body and enhance the bodies natural function and operations. It is tasteless and odorless, and mixes easily into feed. Fed free choice, we recommend putting it in a dry, wind protected area that is easily accessible and let your horses naturally choose the amount they require.